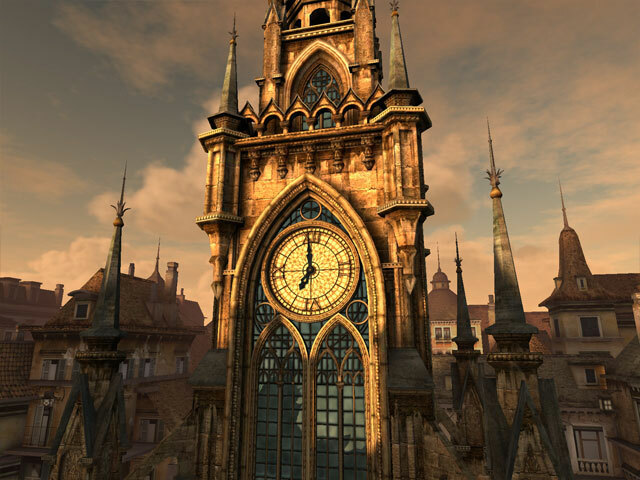 ﻿ Clock Tower 3D Screensaver – Take a trip to experience the wonders of old Europe! You should not be a history freak to be interested in some events in the past, especially, when we speak about Old Europe. That is the key reason why many of the modern tourists prefer Old World to one or another exotic country. Every European town has its own architectural and cultural heritage – places of note which are cared for by citizens with great love and respect. A good many of ancient towers and castles have survived in Great Britain, France, Germany, the Czech Republic, and Italy. The ideal lines of the ancient buildings created with the greatest accuracy in the smallest details stagger modern tourists. Alas, not all of us have the possibility to visit Europe every weekend and go sightseeing. 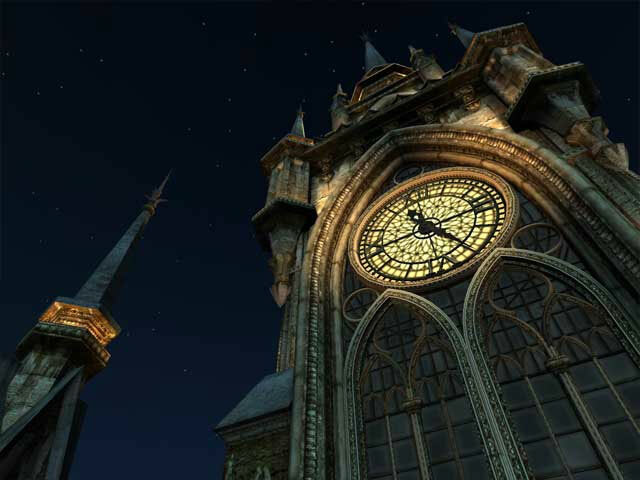 The Clock Tower 3D screensaver will make up for it. It presents the central part of some little town in Europe with the town hall and the tower clock which chimes every fifteen minutes reminding of the time to the citizens. Installing this moving 3D screensaver on your computer you will get an excellent opportunity to enjoy that melodic chiming yourself. Besides the accuracy in all architectural details of the old tower, the designers of the screensaver have succeeded to restore the spirit of the town. By keeping chime from dawn till night, the tower clock will dip you in the middle of the unhurried life of Old Europe. The town landscape on the monitor of the computer looks very impressive. There is no doubt that the Tower Clock will take its proper place in your screensaver collection. 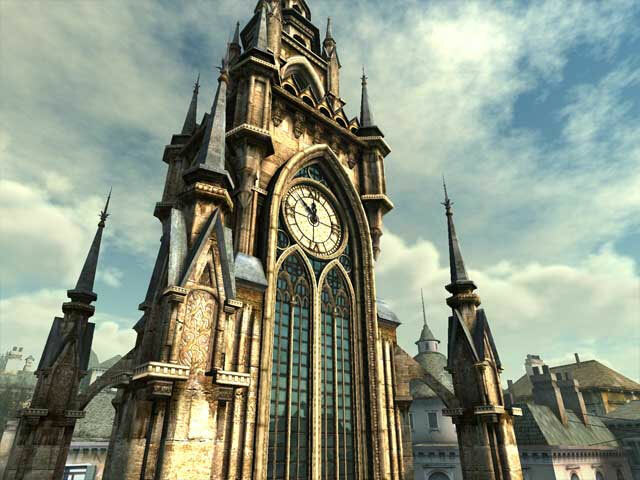 The accuracy of the lines of the gothic building ideally fits the mix architectural style of the ancient town. This animated screensaver for Windows XP will improve and develop your taste and, of course, it will awake your desire to have a closer look at the world with its diverse countries and picturesque towns.